Why is assessment so important in the teaching-learning process? How should we assess pupils in the primary classroom? 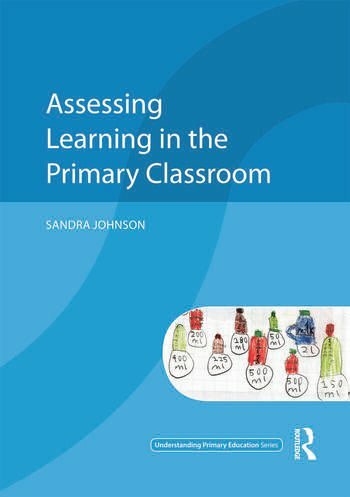 Assessing Learning in the Primary Classroom is an accessible introduction to the concepts critical to a professional understanding of this vital aspect of a teacher’s role. It comprehensively considers the principles underpinning effective assessment, the different forms it can take and the different purposes it serves, both within and beyond the classroom. Assessing Learning in the Primary Classroom is for all students undertaking their PGCE, those working at masters level, and experienced teachers who wish to broaden their understanding of both the value and pitfalls of educational assessment. Sandra Johnson is an independent assessment consultant, providing technical support in educational assessment through her company Assessment Europe. She has published widely in educational assessment and evaluation, and is currently a Visiting Fellow in the Graduate School of Education, University of Bristol, a member of the Editorial Boards of Assessment in Education and Educational and Psychological Measurement, and a Fellow of the Association for Educational Assessment - Europe.